3 minutes to go in the half. #Chargers with the ball at their 17. Touchdown!! Danny Woodhead's 9-yard run has the #Chargers back in contention. It's a LaDarius Green sighting! A gain of 19. 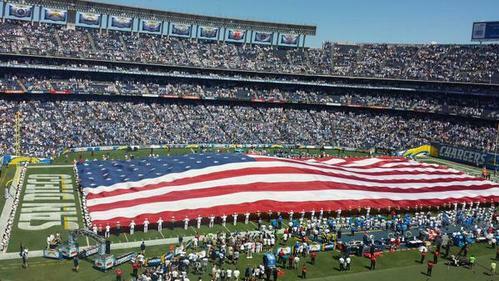 I still think the #Chargers will be a good team this year. All this start means is that they blew the preseason. Eric Ebron with an 18-yard TD catch up the middle from Stafford. #Lions up 21-3. #Chargers should be panicking. Lions follow up a coverage sack of Rivers with a near sack in the end zone. Rivers throws it away. Chargers O-line is struggling. Ball bounces off Keenan Allen into the waiting arms of Glover Quin. Pick 6. #Lions lead 14-3. OLB Kyle Emanuel, starting for Attaochu, sacks Stafford for a loss of 13. Ameer Abdullah with an electrifying kickoff return. This kid is for real. Josh Lambo boots in a 32-yarder. #Chargers on the board down 7-3. Gordon's forearm was down. #Chargers with 3rd and 2 from the 14. Melvin Gordon just pulled an Ameer Abdullah with that spin move. Pretty sure that's gonna be on SportsCenter's Top 10. Refs reviewing. It's the Melvin Gordon show! The rookie with a huge burst up the middle for 14. #Chargers in Lions territory. Philip Rivers screams out "Lily". Gordon runs left. Lions seems to figure it out. Chargers go to Melvin Gordon on three straight plays (2 runs and a pass). He gets them a first down. Lions go 3 and out. 7:30 to go in the first quarter. 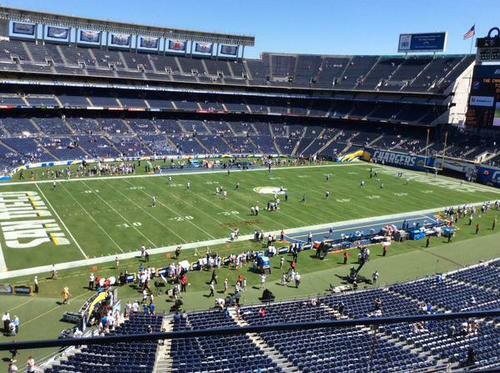 #Chargers need to put together something here. Rivers sacked on 3 and 7 as pocket collapses. 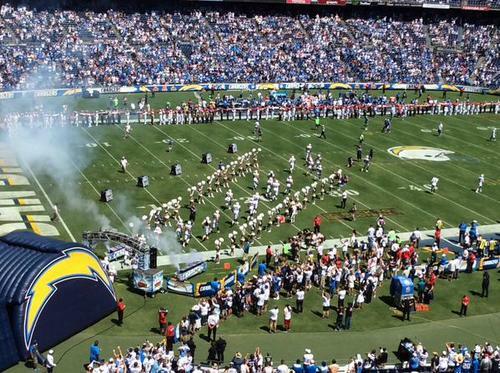 Not a good start #Chargers . Ameer Abdullah juked past Eric Weddle in open field, but it was Manti Te'o with the big whiff on that 24-yard TD run. Barry Sanders called Ameer Abdullah "a big-play player" this preseason. We can see why. Wow. Calvin Johnson breaks tackle on 28-yard gain. Lions moving the ball at will. Interesting to see how long Lions will wait to go with rookie RB Ameer Abdullah. Josh Lambo warming up on this #WhiteHotSunday for his first regular season NFL game. Chargers have three OLBs active with Jerry Attaochu out: Melvin Ingram, Kyle Emanuel and Cordarro Law. Emanuel, 5th-round pick, to start. TE Ladarius Green active for #Chargers . How he does filling in for the suspended Antonio Gates awaits to be seen. 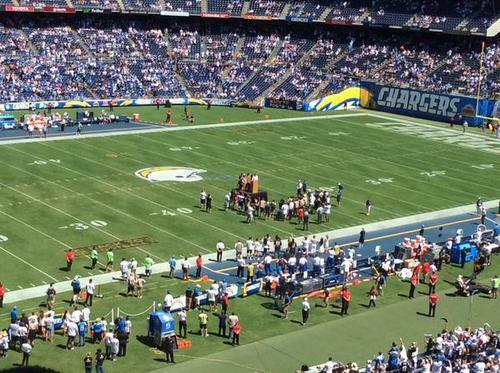 Chargers are playing the media to trumpet minor stories on Carson into creating unrelenting pressure on San Diego. I feel so used. Stadium drama...Rivers rumors...Weddle disrespected...Gordon drafted...Spanos shakeup...it certainly hasn't been a dull Chargers offseason. Having lunch in the @10News cafeteria and saw Chargers lineman @OFranklin74 walk in. Big guy! He's on @BoltsBrownBag right now.